These raw cacao nib grinders come in a glass jar with a dual setting plastic grinder on top, allowing you to have a fine or coarse grind. 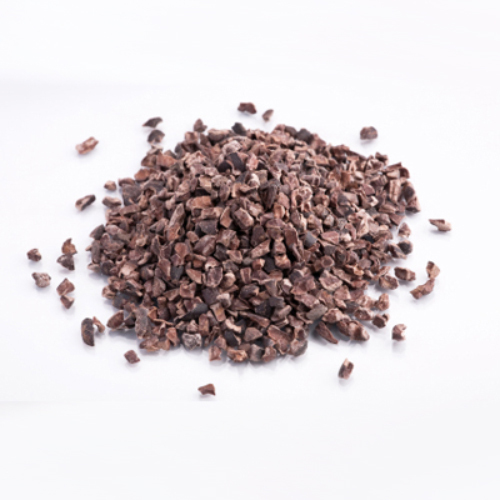 After cacao beans are dried, they are crushed and the papery skins removed, forming what are called Cacao Nibs. These Ecuadorian Raw Arriba cocoa nibs are unroasted before being crushed, they are packed full of nutrients with high levels of antioxidants, magnesium, vitamins & essential amino acids. 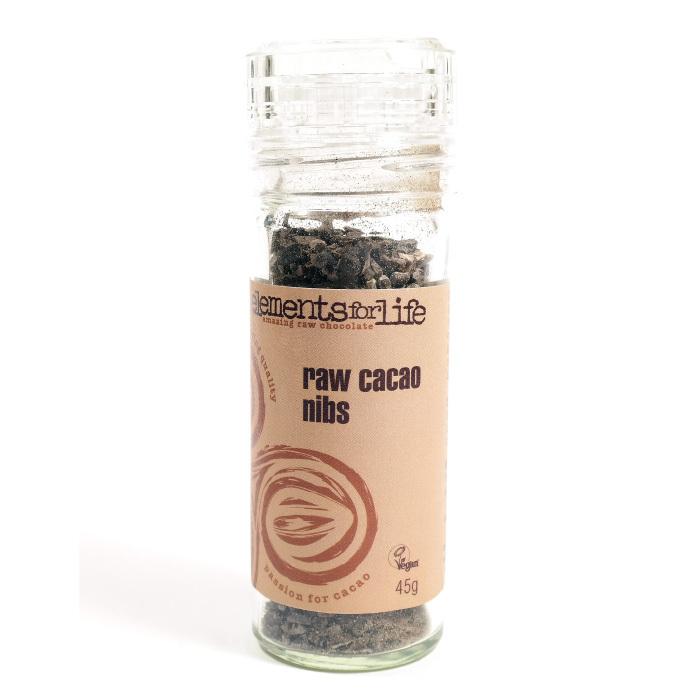 Elements of Life's raw cacao nibs have a nutty chocolate flavour, not as bitter as you'd expect from 100% cacao. The reason being the lack of roasting, which would otherwise draw out the bitter flavours. Uses: Grind over raw chocolate deserts, ice cream, yoghurt, porridge, smoothies, hot chocolate & cappuccinos. Or why not add to your favourite chilli recipe to bring out the richness and add to the depth. Already bought the grinder? You can easily top up your grinder by purchasing refill bags of Elements of Life's quality raw cacao nibs. This product is dispatched by Elements for Life. This item has a shipping weight of between 45g and 1,000g depending on the options selected.